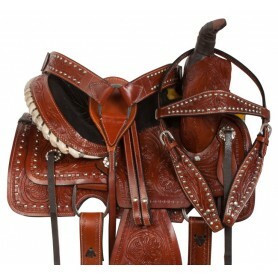 These saddles are constructed with your up and coming cowgirl or cowboy in mind. 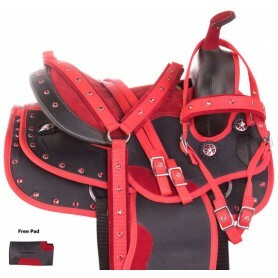 Made with pony/small horse sized bars and deep seats to ensure a secure fit. 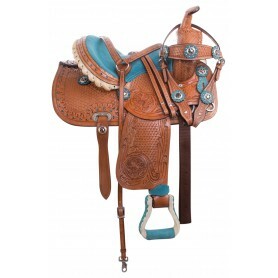 One of our most popular ranch work and roping designs is now available in pony size! 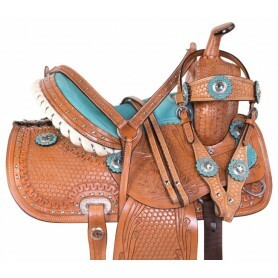 This saddle features a padded black sued stitched seat, silver studded trim, and a mule hide wrapped horn that is perfect for the little roper in your life. 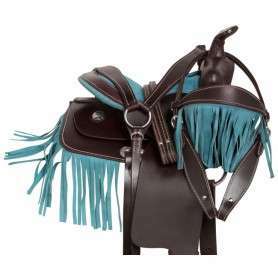 Purple Synthetic Western Pony Youth Kids Saddle 10" 12"
This cute and adorable purple synthetic saddle is perfect for younger riders! 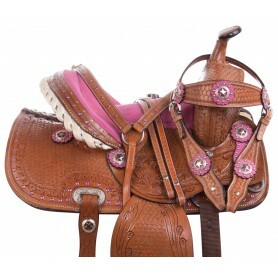 This saddle features cute, purple crystal accents around the skirt and on the cantle that accents the deep purple colored seat and purple nylon binding.